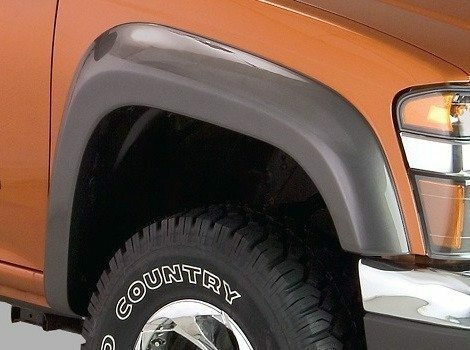 When you add fender flares to your GMC Canyon truck, you are giving your small truck a big and bad new look. This accessory will help your truck stand out among others in its class with its new more aggressive look and feel. These flares will leave your wheel well looking fuller and larger than other trucks like yours. These fender flares are about more than good looks and a tough exterior. They can help protect your GMC Canyon from road debris and sludge that builds up inside your wheel causing corrosion and a host of other issues. 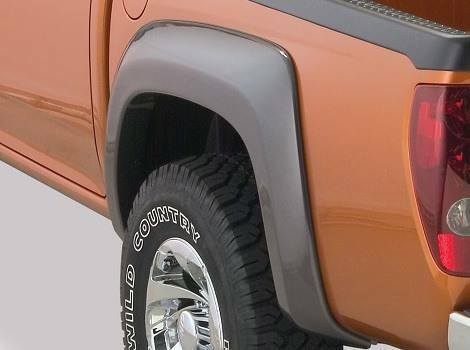 These fender flares were designed to fit seamlessly on your particular model and year truck, giving your truck a look that it was just meant to be.